There are two official city-operated welcome centers to help make your stay a pleasure right from the start! When you stop by either information center, our friendly staff are extremely knowledgeable about Pigeon Forge and the surrounding area and will be more than happy to assist you while on your trip. 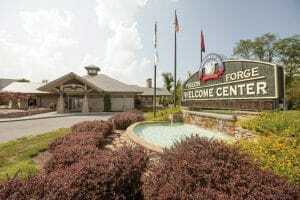 Drop by the official Pigeon Forge Welcome Center for maps, brochures and coupons. We’re ready to assist during your stay! The Pigeon Forge Visitor Information Center is a satellite office of the Welcome Center for inquiries about Pigeon Forge events, businesses and other information.